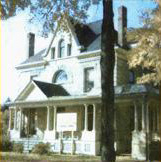 The building now known as Moss Family Funeral Home was constructed originally as a residence in the 1850's. 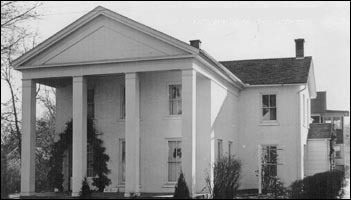 It remained solely a residence until 1965 when it was purchased by Donald Yurs and converted into a funeral home. Founded in the mid-sixties as the Yurs-Peterson Funeral Home, named for the owner, Donald Yurs and the Director, Donald Peterson, it remained under that name until 2001 when it was purchased by the Moss family, Bryan W. Moss and Amanda D. Moss. The name was then changed to Moss Family Funeral Home; reflecting the new ownership. Today, Moss Family Funeral Home is just as it sounds: a 100% family owned and operated funeral home. All decisions on running the funeral home are made right here in your community — not at faraway corporate headquarters. This allows Moss Family Funeral Home the ability to meet your needs quickly, efficiently, and at the best value — no matter what they are. The building now known as the Moss-Norris Funeral Home was constructed originally as a one room home built in 1843, and it has experienced great growth and seen many different owners over its 160 year history. From the late 1840s through the 1890s, the home remained in the Durant Family. The Durants built the two story brick dwelling in the 1850s. Since its construction, it is thought that the building has been added on to at least eight times. Russell Norris bought the residence in 1936. At this time he converted it into a funeral home. For over 75 years now, the Greek Rival building has served this purpose. 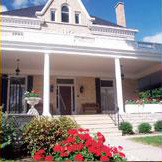 In December 2009, Bryan and Amanda Moss purchased the Norris Funeral Home. They bring with them a great wealth of knowledge and experience of the funeral home industry. In keeping in line with the rich history of this building they are currently teaming together with local business owners to create a remodel plan that will greatly enhance the experience at Moss-Norris Funeral Home (click here to view the plan).